What do you get when you pair the reliable durability of a solid-liner-lock design with the features of the Emerson Roadhouse line? 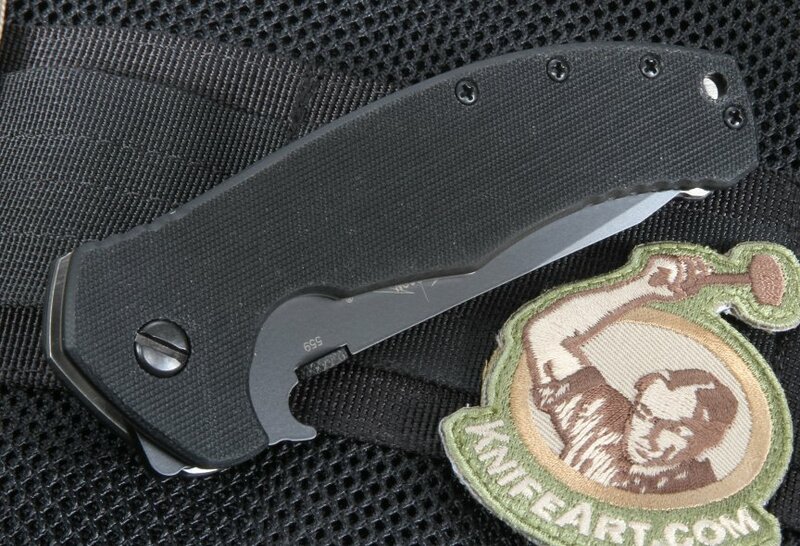 The answer is the Emerson Roadhouse BT black blade folding knife. 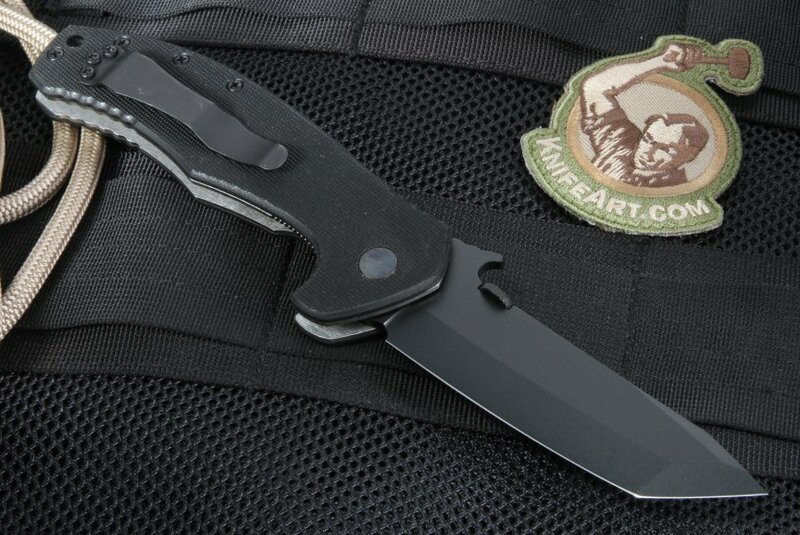 This blacked-out folding knife has a modified tanto blade with a swedge on the tip that has been stone washed and finished with a black protective coating for a unique look. 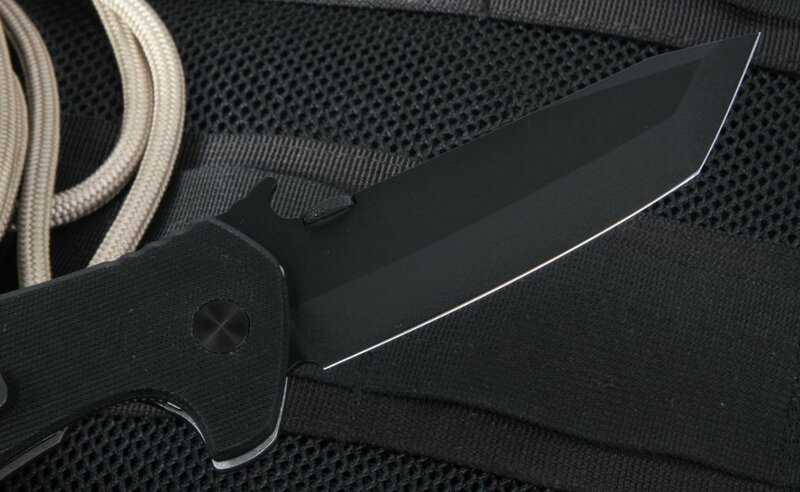 The blacked-out theme continues with the textured G-10 handle. But the Roadhouse BT isn’t just about looks. 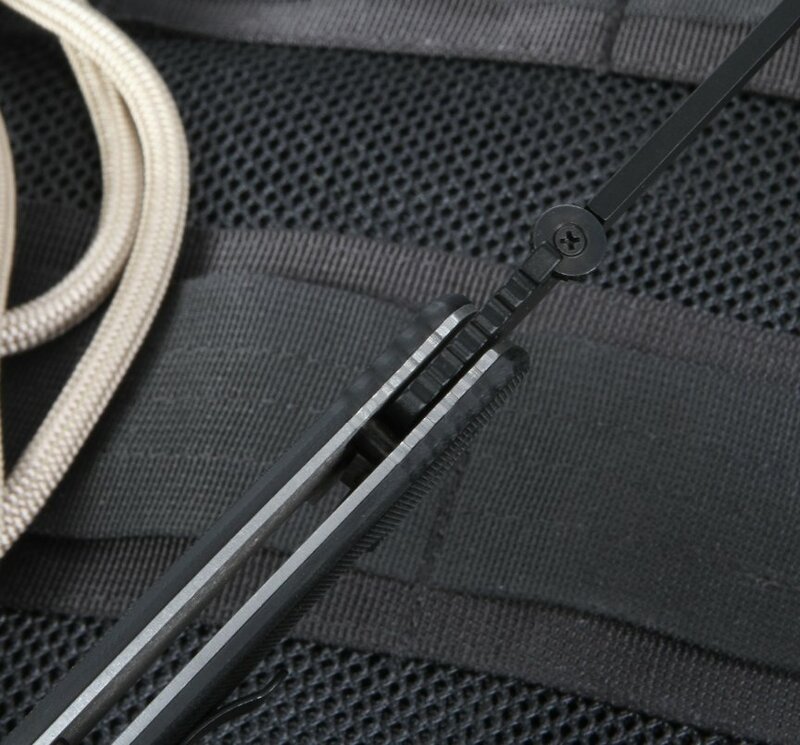 It’s built with the quality you expect from the Emerson Prestige Line, including titanium liners and the much appreciated Emerson features, including the thumb disc on the blade spine and Emerson’s patented wave feature, which combine to allow fast, easy opening with either hand. 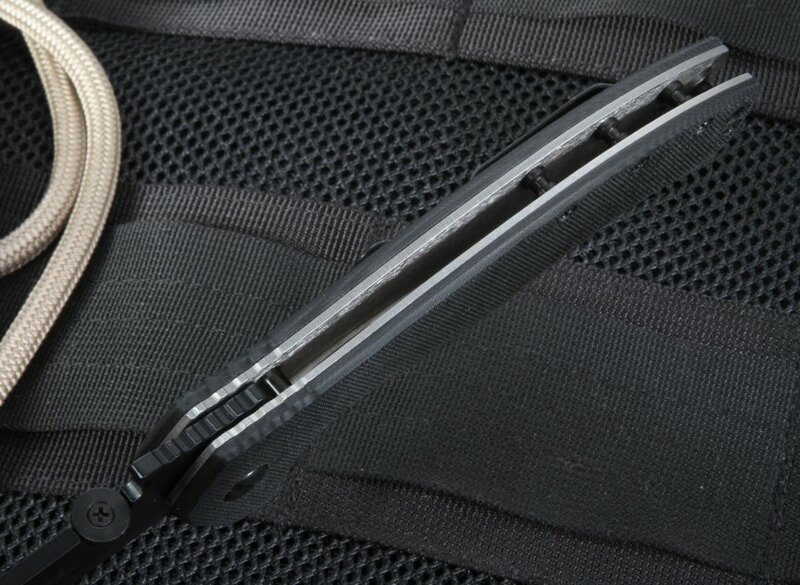 The Emerson Roadhouse BT black blade folding knife delivers unique style and smart design. 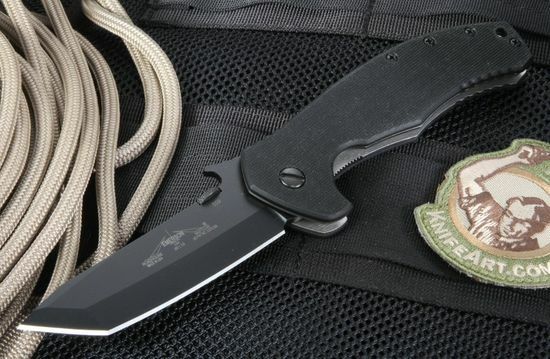 I have owned several Emerson knives. I have a Commander, a Cqc-8, a Cqc-7, and a Patriot. 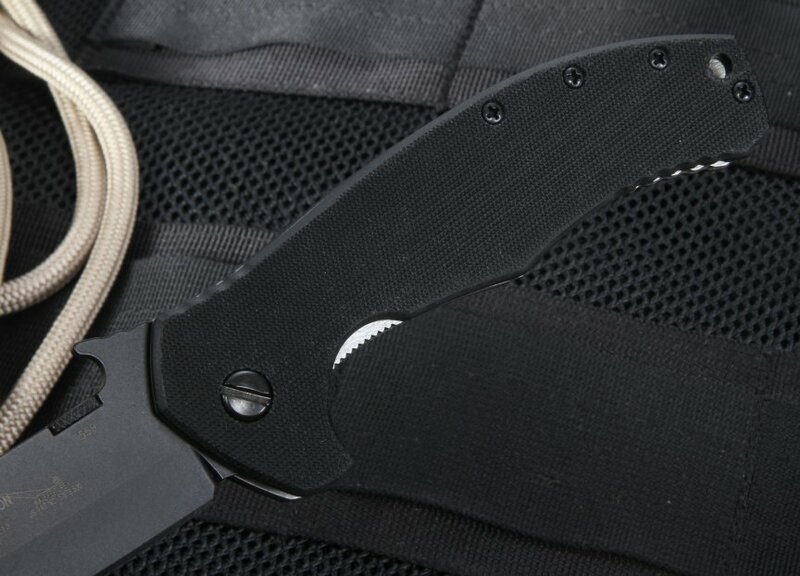 I would say that the roadhouse ( emerson # 5) is a great blade that has wonderful recurve on the bottom which can be useful for very hard-use.